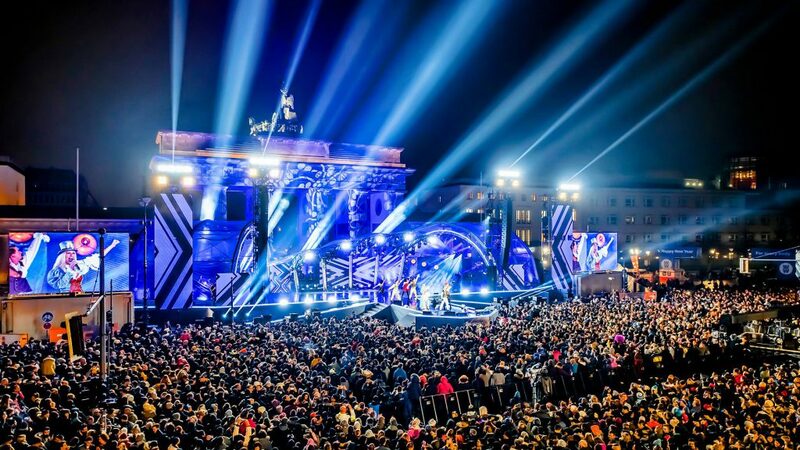 BERLIN – The Brandenburg Gate has seen New Year’s Eve come and go over 225 times, but the historic structure has never shined quite like it did this December 31. An estimated one million NYE revelers gathered along a two-kilometer route that culminated at the landmark for New Year’s Eve in Berlin GmbH. There, in the shadow of the famous gate, international stars like DJ Bobo, Alice Merton, Bonnie Tyler and the Village People appeared on the Genesis Stage. 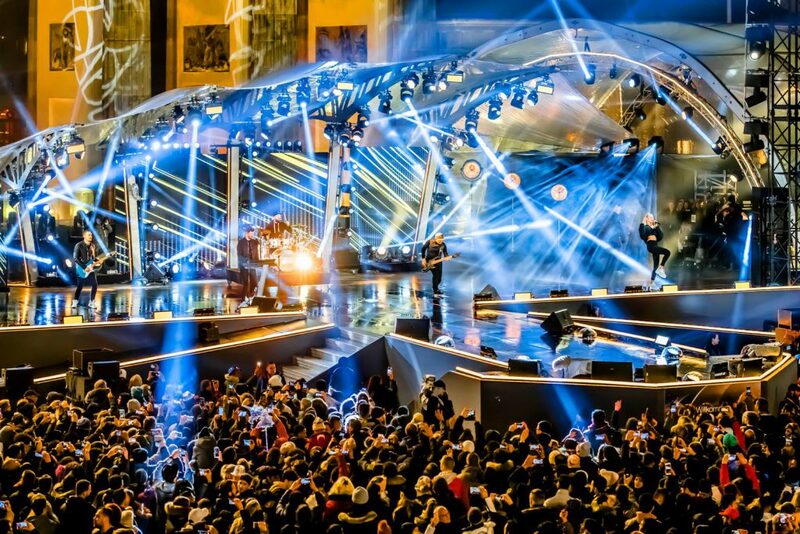 Providing visual support for their performances was a dazzling lightshow that featured CHAUVET Professional ÉPIX Strip IP fixtures deployed by TLT Event AG. Designed by Denny Arndt of 666 Veranstaltungstechnik and Helge Rabethge of TLT Event AG, the lightshow used 160 of the 1-meter ÉPIX LED strips. With over 50 different acts from a wide variety of genres taking to the stage, the designers’ main challenge was to underline this musical diversity with a wide range of dynamic and compelling looks for the live crowd and the millions more watching on television. They achieved this through the use of multiple scenic levels that delighted the audience with a constant flow of new effects. 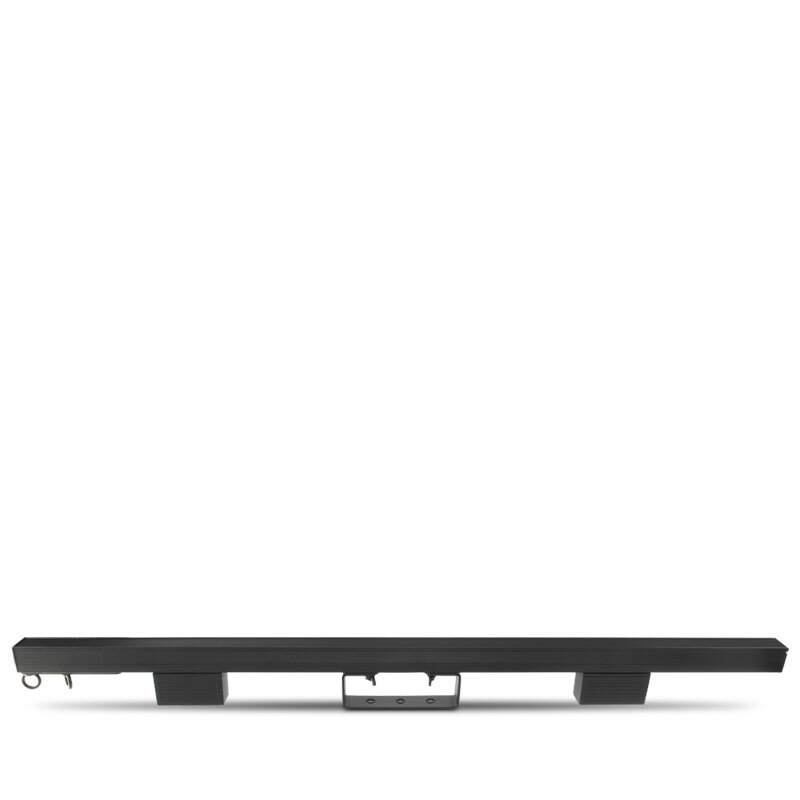 In addition to contributing to the varied visuals, the ÉPIX Strip IP fixtures outlined the contours of the stage. Pixel mapped, the strips added depth to this stage design, often working in conjunction with the large video screens. ZDF’s live broadcast of the celebration garnered the highest ratings in its timeslot. The success of the December 31 celebration was built on the excellent collaboration at the event in recent years by organizers from Silvester in Berlin GmbH and Wohlthat Entertainment GmbH (responsible for the implementation of the production), TLT Event, and Jens Meinecke, which was responsible for the open-plan stage design that engendered creativity. Among the other technical service providers involved were AVE Verhengsten (video sub direction), Screen Visions (video equipment, LED walls), TV Skyline (broadcast equipment) and Auvisign (sound reinforcement). After experiencing the results of this joint effort, celebrants left the Brandenburg Gate in the early hours of January 1, 2019, already anticipating what treats lay in store for them come December 31.